Mark Jolliffe - What are you like? 0 Mark Jolliffe - What are you like? 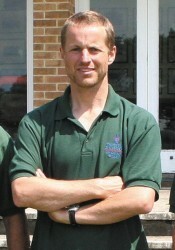 Mark Jolliffe, Head Groundsman at Taunton School - quiet at times but full of determination, apparently! 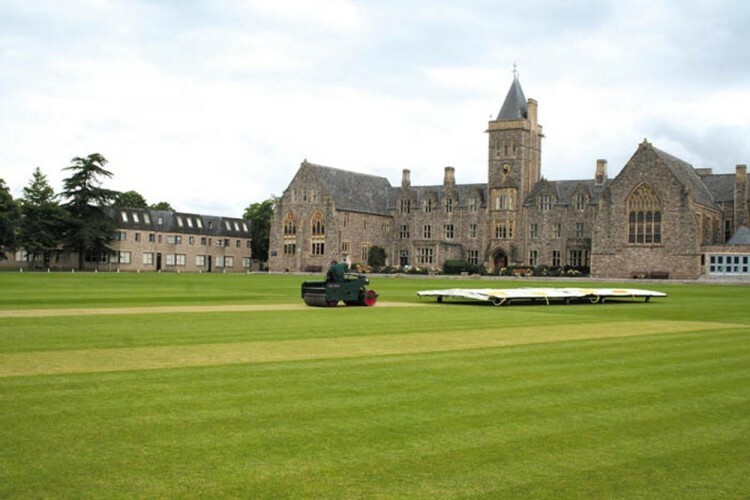 Mark Jolliffe, Head Groundsman at Taunton School, Somerset. Only just the right side of 40, born in London and lived in Oxfordshire all my life until moving to Taunton in 2002. Married for 16 years to Sue with two girls - Holly 13 & Emily 10. We were "originally married" in Barbados in 1991 on the Jolly Roger pirate ship. It was a set up by so-called friends and, with the intense heat, copious amounts of rum punch and barbeque followed by walking the plank in to the Caribbean Sea, I didn't really know what was happening! But it clearly had some sort of effect! Who's your hero and why? My Dad, as he has taught me so much about life and is someone I have always looked up to and turned to for advice. He is someone who can step back and look at things in a logical and philosophical light. Touring round Australia and New Zealand - I have seen and heard so many reports and there are some great sights, towns and cities there. I know a few people who have either travelled, worked or live down under and it is something I would love to experience. People who try and fob me off with lies; automated phone lines and the useless operators who can't help when you finally get to speak to a human; Sunday afternoon drivers. To be a little bolder and more adventurous in life rather than sticking with what I know most of the time. Who wouldn't you like to be? The Prime Minister - a man who is on a hiding to nothing, constantly in the spot light and a hate figure for many people. He epitomises everything that is wrong with this country at the moment. Who would you choose to spend a romantic evening with? My wife, Sue. With today's hectic lifestyle, both of us working and two kids who need feeding, entertaining and ferrying from A to B to C (and with better social lives than ours! ), romantic evenings seem to be few and far between! It depends on how big a win it was. Apart from some serious celebrating, I'd buy a bigger house with some land, a Ferrari for me, a Mini Cooper S convertible for the missus and go on holiday (see above). If it was just a tenner - a round down the pub! If you were to describe yourself as a musical instrument, what would you be? A guitar - quiet at times but full of life and determination. What's the best advice you have ever been given? "Why don't you apply for this job here?" My wife spotting a postage stamp size job advert in The Oxford Star newspaper for a groundsman at Radley College in 1995. I've never looked back since. People who bully others but who are, in fact, cowards. Rip off Britain. What law/legislation would you like to see introduced? A law to make it compulsory for a minimum ½ an hour daily of supervised sport/activity, Monday to Friday in all primary and secondary schools for every child throughout their school life. These sessions would be complemented by lessons in healthy nutrition and the dangers of smoking, drugs and binge drinking. This would hopefully help combat childhood obesity and drug/drink problems in later life and take an enormous amount of pressure off the NHS in the long term.